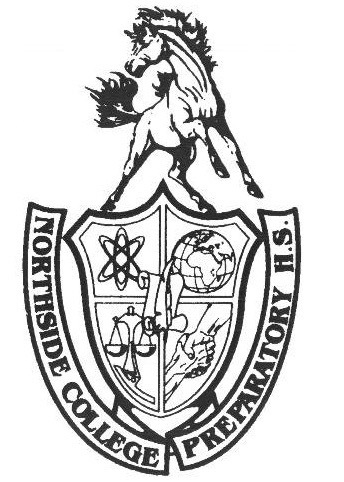 Welcome to the HoofBeat, the official student-run newspaper of Northside College Prep. There was no sleeping in Seattle last Sunday. The biggest game of the week was the Seahawks taking on the Texans, as both teams have premier NFL quarterbacks. Russell Wilson and Deshaun Watson battled and embarrassed the opposing defense in the exciting 41-38 game. Wilson led his Seahawks to victory on a major, 48-yard completion to Paul Richardson, which was followed up with an 18-yard touchdown pass to Jimmy Graham with 21 seconds remaining in regulation. This resulted in a whopping, quarterback-leading 35.08 fantasy points for the signal-caller. Although Watson was unable to come out of Seattle with a win, he still scored 32.78 fantasy points, second only to Wilson among quarterbacks (through the 4 p.m. ET games). That gave Watson 168.86 fantasy points for the season through seven games, making him a premier rookie and a top five QB at the moment. Both quarterbacks have had huge impacts week in and week out, and the rookie shows no signs of slowing down. Watson’s teammate and his favorite deep target, Will Fuller V, benefitted greatly from the number of passes aimed his way and managed to catch two touchdowns and five passes on eight targets, resulting in 29.5 PPR and 24.5 non-PPR fantasy points. He now has a total of seven touchdowns on only 13 total catches and 22 total targets which is nearly unheard of in the NFL. It seems that, whenever Fuller catches the ball, he makes his way to the end zone. Another receiver on the Texans and the highest scorer of the big game was star receiver DeAndre Hopkins. With 36.4 PPR and 28.4 non-PPR fantasy points, he extended his streak of games with a TD to four and, yet again, proves himself as one of the star receivers in the NFL and of all fantasy leagues. Moving away from the exciting game between two powerhouses, several tight ends made big impacts for their fantasy owners. Unbelievably, the Colts’ starting tight end, Jack Doyle, scored 30.1 PPR points, putting him at the top of every player in the noon game block on Sunday. Zach Ertz also picked up a strong 13.4 points, giving him a staggering eight consecutive games in double digits. Seattle tight end Jimmy Graham caught the game winning touchdown and, for the fifth consecutive game, managed to put up a double-digit point total. Finally, the biggest rusher of the week was Buffalo Bills running back LeSean McCoy, who had an outstanding 29.3 points in PPR leagues. This is his seventh consecutive double-digit scoring week. It was the 104th double-digit performance in his nine-year career and this season is turning out to possibly be his best. The biggest quarterback bust this week was the Buccaneers’ Jameis Winston, who put up a total of 3.7 fantasy points, making it his worst 50+ snap game ever. Winston’s next game is against the New Orleans Saints. Although they were once a great matchup for a quarterback, the Saints defense has limited opposing quarterbacks to a combined 50.64 fantasy points in its past five games. Along with Winston, the overall most disappointing player would have to be the Redskins receiver, Terrelle Pryor Sr., who scored no points. Pryor was shut out on the fantasy scorecard on one target for only the fifth time in his 41-game career. Another big loser from the past week came from the Minnesota Vikings running backs. Latavius Murray failed to muster up even 6 PPR points, as Jerick McKinnon took nearly all the carries on the team. As the season continues, expect Murray’s usage to dwindle and his overall value in leagues to drop significantly. Contact The Hoofbeat is a weekly publication produced by the Northside College Prep journalism class. As a student-run newspaper, your opinions are important to us. If you have any comments, corrections, or questions, please e-mail Ms. Dianne Malueg at hoofbeat.malueg@gmail.com or the Editor-in-Chief at hoofbeat.larson@gmail.com. May 30 Can the Golden Knights Make Hockey History?